515 Mason Avenue expect nothing but impeccable craftsmanship! 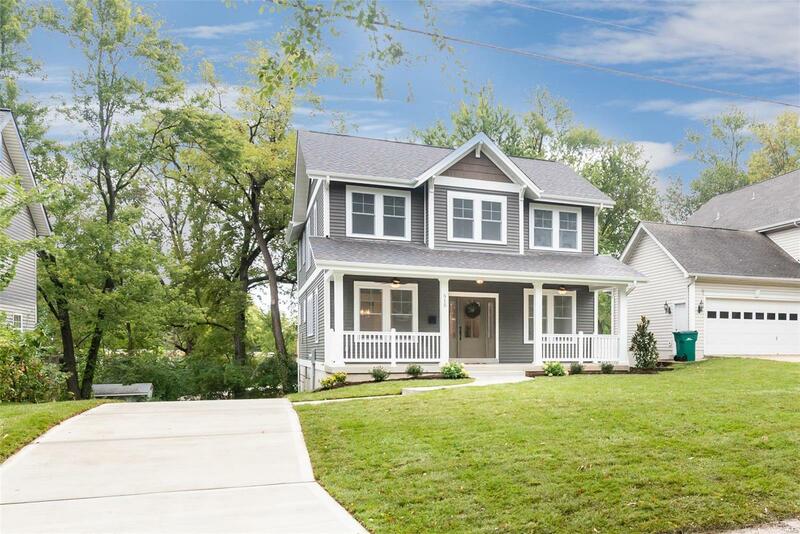 This is a NEW CONSTRUCTION Webster home on a relaxed quiet street. Classic design for the modern growing family. Featuring beautiful hardwood floors/custom wainscoting/three tiered staircase/a generous amount of windows/crown molding/and shiplap. Formal space and casual space all flow comfortably in a open inviting arrangement. Kitchen shows off six foot honed marble island, quartz counter tops, shaker cabinetry, plenty of storage. A gathering space opening to family room or second story deck overlooking Barnickal Park. Master suit is it's own oasis tucked in off the upstairs landing with tree top views, hardwood floors, trey ceiling, custom walk in closet designs. A clean classic master bathroom features custom tile work and plenty of space. Other Perks - 2nd floor laundry, bathrooms off all bedrooms, oversized garage, roughed in bathroom in lower level. Completely NEW with the classic feeling you're looking for!